How Do I Know If My Appliance Is Still Under Warranty? Thanks to Michael all my washer was fixed in no time! excellent service, making it so easy for me to get all my clothes clean before Shabbos. I called a number of places about my freezer not working and could not get anyone who could come out right away. I happened to stumble upon this company on Yelp, but at the time they had no reviews or ratings. Being in a bind, I decided to be the guinea pig and I am glad I did. They were able to come out that same day, assess my freezer and fix it for a reasonable price. They had the part that went bad in their truck. They were prompt, courteous and professional. I definitely would call on them again. I cannot say enough good things about Michael who came to fix my front-loading LG washer. He did an excellent job, from the minute he walked in and took off his shoes (nice!) to completion of the job at a very fair price. He recommended I change the mildew-infested rubber gasket, and now the machine looks brand new. He also told me how to take care of it properly from now on. Great service, really nice man. 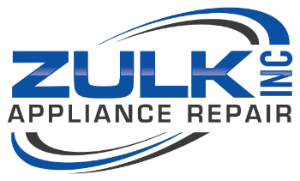 Zulk Appliance repair was very helpful and did the job in no time Mr. Michell was very professional in what he did. Michell fixed my Oven and refrigerator this past week and they are both working perfectly . I would recommend they to everyone. They came and did everything that they promised. Michell was very clean in the work that he did in my house. These guys are the best, they serviced my thermador oven and my dishwasher within reasonable time and price was fraction of others. Would recommend to others. Used Zulk to repair my 12 year old refrigerator. Stopped working over Labor Day weekend, I called the. 8am Tuesday morning and they were over to effectuate the repair within a few hours . Great prompt service, courteous and professional . The fridge needed a new circuit board which they had in their truck. Repair was made in a matter of minutes. Price seemed reasonable. Highly recommended. Thanks to these guys, my 7 year oven runs like new. Would definately recommend.